Observation - It's time to sing - Dunnock - UK and Ireland. Description: Dunnock singing at Stocker's Lake. 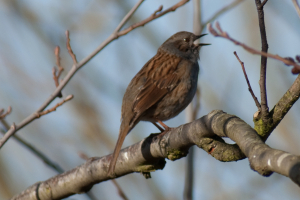 Dunnock singing at Stocker's Lake.